105877 replaced by 38-0430 Ball switch NO=Normally open - Nail head terminals for a slide on Packard connector. 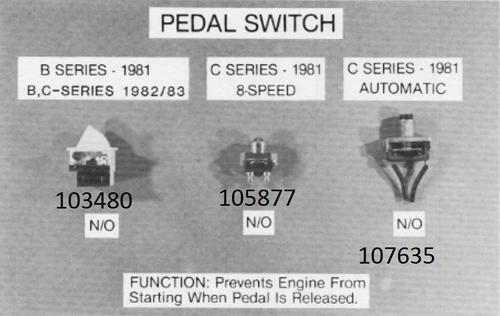 Some illustrations show a switch with flat spade terminals. 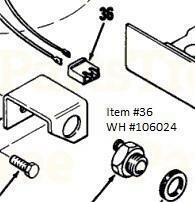 1982 SK-486 model 01-16KH01 - 105877 replaced by 38-0430 for neutral switch and 104680 for pto only listed on TIPL. 101845 is not listed.